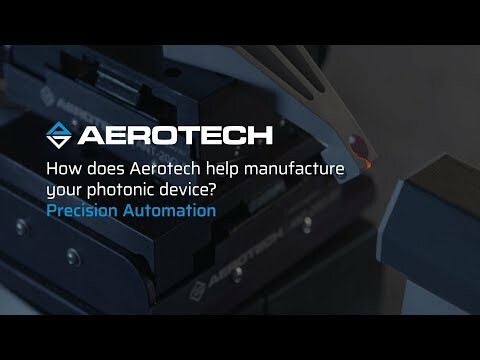 Aerotech designs and manufactures best-in-class motion control and precision positioning systems for industry, government, science, and research institutions. Aerotech&apos;s precision motion control products provide the critical performance for today&apos;s demanding applications in markets such as medical device and life sciences, semiconductor and flat panel, photonics, automotive, data storage, laser processing, military/aerospace, electronics manufacturing, test, assembly, research and development, and other markets requiring high precision, high throughput motion solutions. Aerotech’s philosophy of building superior motion control systems starts with designing and manufacturing technically superior components. An Aerotech system begins with Aerotech motion components that are already best in class and specifically designed and optimized for the highest performance and lowest cost of ownership available. All design and manufacturing is located in Pittsburgh, Pennsylvania, USA, with sales, service and support on a worldwide basis through direct subsidiaries in the U.K., Germany, France, Japan, Taiwan and China.